Smart marketers know that offline marketing techniques like in-store promotions, events, and free samples are powerful techniques for delighting customers and driving sales. The challenge? There’s limited data to prove it. Meanwhile, the Internet has spoiled us. Thanks to tools like Google Analytics and KISSMetrics, we have more data than we can handle – we can track everything from lifetime value to user acquisition costs, and acquisition models. We laugh at brick-and-mortar and call it “old school,” making absurd claims that online mega-conglomerates are making our favorite stores obsolete. The days of the shopping mall are dead, right? Not so much. Brick and mortar isn’t going anywhere. Consumers will always be window shopping on their lunch breaks, grocery shopping after work, and trying on clothes at the mall. The fact is that online and offline marketing aren’t separate channels. They’re interconnected parts of the same customer acquisition engine. Our Web browsing habits follow us to the store, and when we’re at the store, those preferences follow us home. As research firm Millward Brown predicts, “the notion of marketing activity being online or offline or mobile will cease to be a meaningful debate in 2014.” Thanks to smartphones and tablets, there is absolutely zero reason for brick-and-mortar marketers to throw darts in the dark. Mobile gives offline marketers the ability to quantify anything. 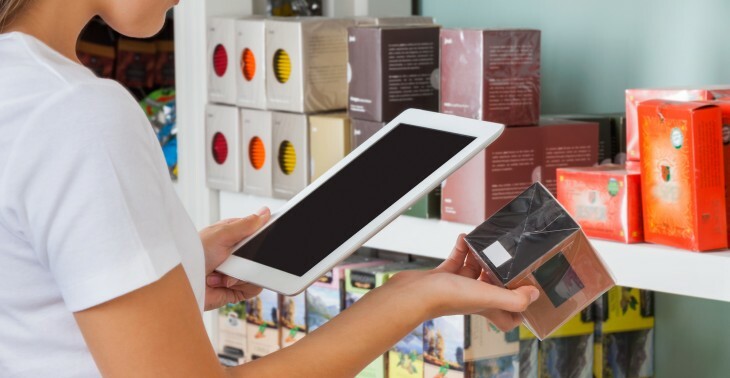 Here are three ways that mobile can bridge data blind spots for brick and mortar storefronts. Customers are a small business owner’s lifeblood. That’s why Oren Dobronsky, owner at Oren’s Hummus Shop in Palo Alto, would always ask his patrons for feedback. He would rarely hear anything beyond the usual ‘awesome’ or ‘good’ – that is, until he checked his Yelp reviews and Facebook account, when a negative post would surface out of nowhere. That’s when Dobronsky teamed up with Adi Bittan to build OwnerListens, a messaging platform that helps business and consumers communicate in real time. When it comes to customer satisfaction and retention, however, a split second can make all the difference. Business owners need to connect with their patrons at exactly the right time. On the Internet, we rely on algorithms to make these moments possible. As Bittan explains, offline should not be any different. Consumers can use the OwnerListens app to send a message to any business without having to deal with the time sink of looking for an email address or phone number. Businesses who sign up for OwnerListens will also receive a dedicated ‘smart’ SMS number that customers can easily text message. Real-time feedback, however, is only the first step. Storefronts that use OwnerListens will develop a log of all customer communication. The next step? Analyze the information you’ve collected, and incorporate your findings into your future business strategy. Just as online marketers optimize natural touch points through landing pages, social media, and 1:1 email exchanges, businesses need to make sure that they’re prioritizing the metrics that influence the business. This information can help connect customer behavior across online and offline marketing channels. Business owners who aren’t collecting data are facing a major opportunity cost. Even when the data is readily available, businesses seldom think to capture it. This process requires upfront planning. Once the right systems are in place, however, business owners can focus on collecting the exact information that they need. Jason Richelson, founder and CEO at ShopKeep POS, is a small business owner turned tech entrepreneur who realized that data was the solution to better serving his customers. “I built my wine business on emailing customers when we had new wine in stock that I thought they might like based on what they brought previously,” says Richelson. The idea of 1) reaching the right customers, 2) with the right message, 3) at the right time is foundational to marketing online. Thanks to cloud-based technologies, marketing automation, and sophisticated real-time bidding (RTB) algorithms, marketers can send personalized messages to consumers at just the right moment. Why should brick and mortar be any different? Richelson elaborates that the cloud has infinite power in bridging data gaps for brick and mortar. Brick and mortar storefront owners have access to their customers’ data in one central place. If business owners aren’t careful, they’ll find themselves buried in a big data dump. The key to getting started with predictive analytics, real time feedback, and on-the-fly profit maximization is structure. What matters most to your business and bottom line? What customer engagement metrics are most relevant to your business’s sales and revenue objectives? Start with your goals, and reverse engineer the process. It doesn’t matter whether you’re marketing online and offline – you still need to wield your left and right-brained skillets. With the proper outlook and strategy, the technology and solutions will fall into place. This post has been brought to you by Rackspace Digital: the infrastructure specialists for content, commerce, and mobile applications.